You know how it feels when so many things aren’t working that you want to pull a blanket over your head and never come out? That’s what happened to me in the early 90’s, and that brokenness was my turning point. My personal and professional breakthrough not only brought me back to life, it was the foundation to help others share their gifts with the world. For the very first time ever publicly, you’ll discover how what I learned can help you as I share my story From Burnt Out to Turned On – Be Richly Compensated Doing What You Love Faster and Easier than You Dreamed Possible! Please join us next Friday, November 6, at HEALTHY & WEALTHY LIVING IN AUSTIN, a Professional Women’s Group. Guys, if you’d like to come and be surrounded by women, you’re welcome, too! Meeting starts at 9:30 AM. No reservations are needed, and it’s free! Many people feel discontent because they know in their hearts that their business or life can be so much more. My talk especially hits home for those who may feel stuck, confused or don’t know how to create more money, success or really enjoy what they’re doing… and it doesn’t matter if they’re just starting out or a seasoned professional. Learn how to be turned on instead of burnt out with your business and life. Find out how to design and manifest your business or a passion-filled life that YOU create where you’re richly compensated doing what you love. Experience a simple tool to transform any confusion and worry into clarity, inspiration and action. Understand the power of masterminding and how to access it to manifest your goals and dreams beyond your wildest expectations. 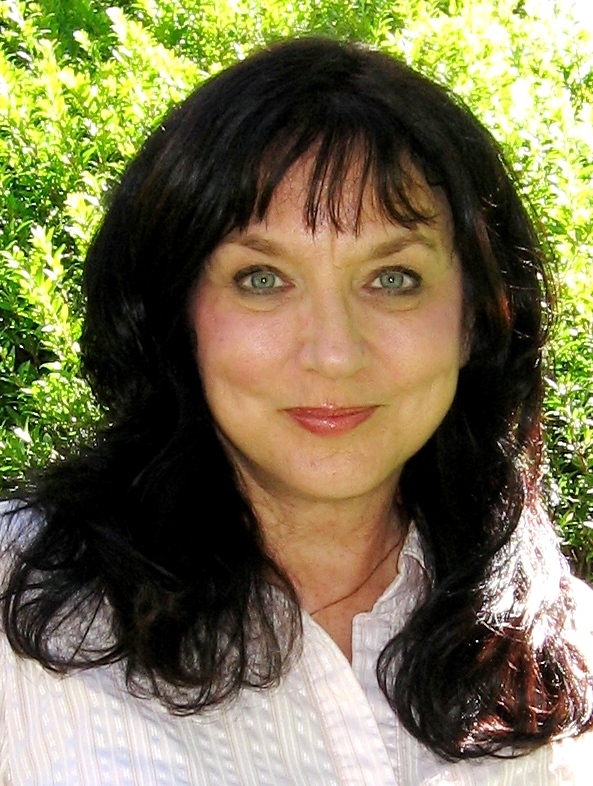 Virginia Goszewska (go-SHEF-ska) is a Do What You Love Coach who awakens people to find their passion and be richly compensated doing what they love. Based on decades of extensive research and discoveries, she created the unique mastermind and success program Resolved for Results: A step-by-step guide to live your dreams even if you failed before, lost hope, are afraid, stuck or confused. At top-level leadership positions in international corporations and non-profits, Virginia received awards in sales, training, management and business development. From SE Asia to the U.K., from Canada to Mexico, thousands of people worldwide have benefited from her expertise, support, inspiration, compassionate insights, and common sense. She and her teachings have been called an oasis of cool water in a desert. Since her crisis from poor health, finances, marriage and career in 1991, she now uses her story of transformation from being burnt out to turned on to help people share their gifts. Some of her clients’ successes are an oil business worth over $100 million; becoming the City Architect of a major US city; top Realtors; 80% increase in commodity trade profits; and much more. Wouldn’t you rather skate through life than be burdened by it? My dream this morning gave me a roadmap how. Let’s say you wanted to ice skate in winter, but there wasn’t a place to do it. However, you had a place where water could be added to create a pond. So, you filled that space with an available water source. Gave it time to freeze. Makes sense. But what does this have to do with anything? whine about not being able to skate because there isn’t a place to do it. blame wildlife for drinking the water that could’ve frozen. feel sorry for yourself or tell your story so others can feel sorry for you. Regardless, you still can’t skate. You can’t have a problem without already having the answer! If you keep looking at the problem and feeling bad about it, you won’t see the solution. You have a place within, your Essence, that already has the solution – the space for the pond. If you’re open to receive, your inner guidance will fill you with answers – your available water. If you allow answers time to transform from fluid to solid – thoughts and feelings materialize. Focus on good feelings. I trust my Self and listen to the voice within. What if you stay loyal to the what-if-it-doesn’t-work thinking? Same ole, same ole. Success goes up and down like a see saw. Frustration, anger, blame, struggle, complications and disappointment. Familiar? Here’s what else you can do. 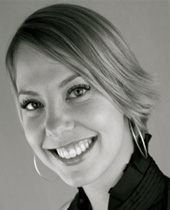 TIP of the Week: How to Skate Through Life Notice how you greet situations. Is it with fear, doubt, discouragement or other negative feelings? Instead, focus on any positive experiences you’ve ever had about this. If you don’t have one, imagine how you’d like it to be. Before a sales presentation or any transaction, remember ones that went great. It doesn’t matter if you’ve put your foot in your mouth a hundred times before. But once, your long lost uncle bought a candy bar you were selling in grade school, and you felt happy. Go to those thoughts and feelings. Feeling weak in the knees because you’re about to talk with someone? Recall moments of empowering interactions. If you’re used to feeling the other shoe is going to drop, feeling good may seem downright unnatural. With practice and positive results, you’ll feel more comfortable. During his short ride to the office, a client’s daily routine was looking for annoying drivers. Easy to find, right? After starting the day with this momentum, his attention shifted to work. “Nope…mostly going backwards.” He actually had several deals pending, and many would envy his business. Up, down or wiggling between the two, energy matches energy. Wiggling between positive and negative energy brought a mixed bag of results. Not surprisingly, although he had multiple deals, some had complications that jeopardized their outcome. Highly talented, successful and an awesome man in countless ways, he recognized his perspective wasn’t helping and reframed it. He continued working on the deals but let go of the emotional stress and negative attitude. The deals worked or they didn’t. This or something better. Alternate solutions were acknowledged. Plus, there was a higher probability of achievement using positive creativity. The way you start your day influences your results. It’s easier to build a train’s momentum by starting on the right track than trying to stop it if it’s heading for a train wreck. How can you get on the right track? My course Resolved for Results includes tools to gain clarity, shift your energy and manifest what you really, really want. Ideal Scenarios support you to focus on the life you want and let go of obsessing over less than favorable circumstances that inevitably sentence you to what you don’t want. “A client went from owning a business that stocked vending machines to a different industry where he created a company worth over $100 million dollars. He said he owed his success to writing ideal scenarios. Be the master of your destiny by consciously creating your success! Write your ideal scenario, using the above description, as if you’re already living your ideal life now. If you’re not sure what you want, make a list of what you don’t want and then write the opposite. Every morning, visualize your ideal scenario with feeling – two or three times a day for faster results. Don’t believe it? Try it for the next 30 days and watch how your life matches your Ideal Scenario. Visit www.ResolvedForResults.com to see others’ results. Newton’s Cradle representing his First Law of Motion: A body in motion tends to stay in motion unless acted upon by an external force. After basic needs are met, where do your thoughts go when you wake up? It can be like Googling, and in .31 seconds, the search brings up yesterday’s issues and today’s to do list. Like attracts like. If an emotional funk descends, your day continues to match those emotions. Days turn into years. However, sleep gives you an opportunity to hit the Reset button. Every day. Funk or WOW? Here’s how. Your mornings can change your entire life! Life reflects back what you’re feeling. You can build momentum with positive or negative feelings. The more you build momentum to enjoy good feelings, the easier and faster you’ll see your dreams coming true. It’s easier to build momentum when you rise and shine. Feelings create energy and your energy manifests results. So, be a conscientious steward of your feelings by not getting gobbled up by others’ emotions and opinions. We are not here to rescue others from their emotions no matter who they are – as much as they may try to pull us into their stories. We are not created to please others who sometimes don’t even know what they’re talking about! Have you noticed when someone’s ego is in control, they often don’t make sense although they firmly believe they do? Trying to defend yourself or your viewpoints doesn’t work. It’s not your job to prove the validity of someone else’s beliefs or transform their lives. It’s your job to transform yours. Other ineffective energy suckers are trying to make things happen, working harder or desperately putting out effort. Split energy – you’re torn between wanting your goals but doubting you can get them – produces more of what you don’t want, too. What does work are softening your emotions, relaxing, aligning your feelings so you’re receptive to the wonderful life you deserve. Trust who you are – a divine Essence. Unlimited. Pay attention to what you feed your emotions. Years ago, I enjoyed a popular sitcom with biting sarcasm. As humorous as it was, I stopped watching when I realized these weren’t feelings I chose. Last year, I stopped watching excellent shows because their commentary had an angry or condescending tone. If you’re wondering why you feel frustrated, angry, disappointed or keep getting hoodwinked by wonky people, look at how you’re taking care of your energy. Consider your diet of media and people. Do they create good feelings? Don’t expect others to change. Make the internal changes so you no longer attract wonky people. Feeling afraid, defeated, righteous or worried creates momentum as do good feelings. Which do you choose? Every day you wake up, you have a new opportunity to have a WOW life. Focus on what brings you clarity and good feelings and feed the momentum to help it continue throughout your day. Your life WILL change for the better! Many continue with my programs because they recognize that aligning with illuminating perspectives and consistent focus on their goals produce ongoing, positive results. They feel supported, validated and good about themselves. A key to success resides in answering this question: how do you continue the momentum of feeling good and the focus that creates positive results and a life that works great? Otherwise, you’ll get great results and quietly slide back to mediocrity. What results can you anticipate by starting your day feeling good? You’ll feel a shift – lighter and happier. As momentum builds, and positive attracts positive, your life changes for the better. Your dreams come true. Don’t give up! A HUGE reason why people don’t see results is that they don’t stay with it. A baby isn’t born the day after conception, right? Feed positive momentum, and give it time to build. 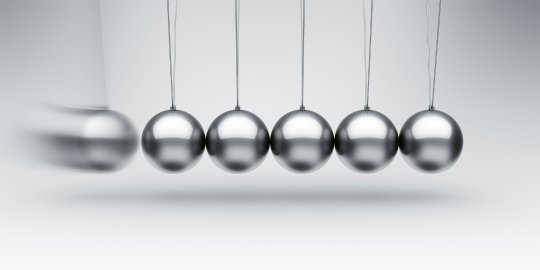 About Newton’s Cradle, which motion that propels you to momentum do you choose? TIP of the Week: Build Momentum For Your WOW Life. For 30 days, get your morning mojo flowing in a positive feeling direction. Raise your energy so you’re feeling good. Daily, make a list of what you’re grateful for, your miracles and successes or your favorite things. Or tune into feeling good by what you read or watch. I frequently mastermind because it directs my focus. I feel great, and I’ve noticed things always work out – regardless of how they appear. With practice, build momentum by extending feeling good throughout the day. Be patient with your progress. Remember, other people’s stuff is theirs, not yours. After 30 days, you can make this a lifetime habit. Why? You’ll feel great and love your WOW life. Did you see the total lunar eclipse, also known as the blood moon? First, the outdoors was lit by the full moon. Slowly, portions of one side of the moon disappeared before it was fully immersed in the eclipse. The landscape that moments ago was illuminated became eerily opaque as the moon was shrouded in a blood, red hue. As the movement of the sun, moon and earth continued, the light appeared on the other side until the moon was full again. Alignment of three heavenly bodies created the eclipse and phenomena. The light that was able to reach the moon was sunlight squeezed or bent around earth’s atmosphere that then journeyed to the moon. Which light is that? The identical light that causes sunsets and sunrises on Earth – the long wavelengths bending around the Earth. So, literally, the blood moon is red-orange because it’s illuminated by thousands of sunsets and sunrises on Earth. This is extraordinary. 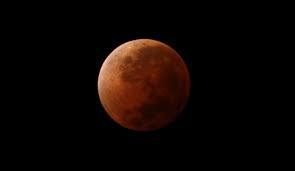 Cosmic alignment + the light from 1000s of sunrises/sunsets = a total eclipse known as the blood moon that rarely occurs. I mean, who comes up with this stuff? The same Who is creating miracles and successes to help you and your dreams to come true. Compared to an event of this magnitude, helping us earthlings is easy. Our job is to let go of resisting. This magic reminded me of the mastermind that is invoked when two or more gather together in harmony creating a vortex of energy. Without the sun, moon or earth trying to control or force results, all three harmonized for the blood moon eclipse to occur. Individually, we are like a beautiful sunrise or sunset. When we access the mastermind, we’re like a prism gathering inconceivable energy as did the blood moon. Our goals and struggles eclipse into receiving amazing results in ways we never would have imagined. TIP of the Week: Be Like the Blood Moon Yes, I know you can slog along doing everything by yourself. You may be more effective and create way better results, though, if you access the mastermind energy and allow yourself to receive support, align your frequency and expand your vision. Share your dream or goal with upbeat friends who believe in you, and ask them to share their vision of you achieving it… where nowhere is heard a discouraging word. Reciprocate by doing the same for them. Feel like you’ve been given the Excalibur, King Arthur’s magical sword? Sometimes it takes practice to tap into Merlin-like powers. When wielded well, this is a miraculous tool. The more you align your energies, the more quickly you live the life of your dreams. PS If you’d like to experience the mastermind magic with me and discover how our 7 Principles may unlock doors for you, leave me a comment or message me to schedule a complimentary masterminding session. If you’re new or seasoned, a 20-minute masterminding may flip the switch to illuminate your cosmic success. We’re all made of stardust.